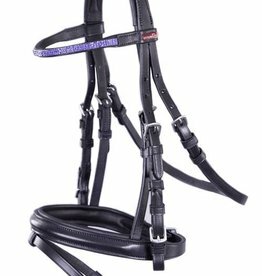 Lovely bridle, anatomic shape, very soft headpiece with a cut back behind the ears. Noseband with soft lining. Browband with blue imitation diamonds. Incl. Reins.